People prepare for a trip in many ways. They read guidebooks, visit websites and ask friends who’ve visited their destination for tips. More and more tech savvy people are turning to social media as part of their trip preparation. Most of us are very familiar with Facebook and Linked-in as examples of social media. But blogs are also social media. A recent NY Times story by Henry Alford told of how he used local city blogs in Sweden to prepare for a trip. There is a genealogy twist to this technique. Genealogists can adapt this technique to help them prepare for a research trip to a new city. And I am sure that some of you out there have already done so. We would love to hear from you. Unlike Mr. Alford, I stumbled upon this technique through the back door – that is other people reached out to me. And no, I had not thought of IRAD. Thank you, Jennifer. After looking at the IRAD homepage, I called their regional depository at Northeastern Illinois University in Chicago and yes, they will look up records for you – there is a limit of two name searches per call. 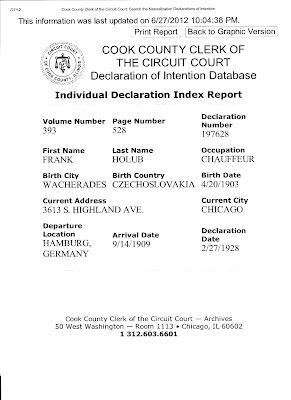 I was told that after the search is completed, the archive staff would send me a letter with the results. 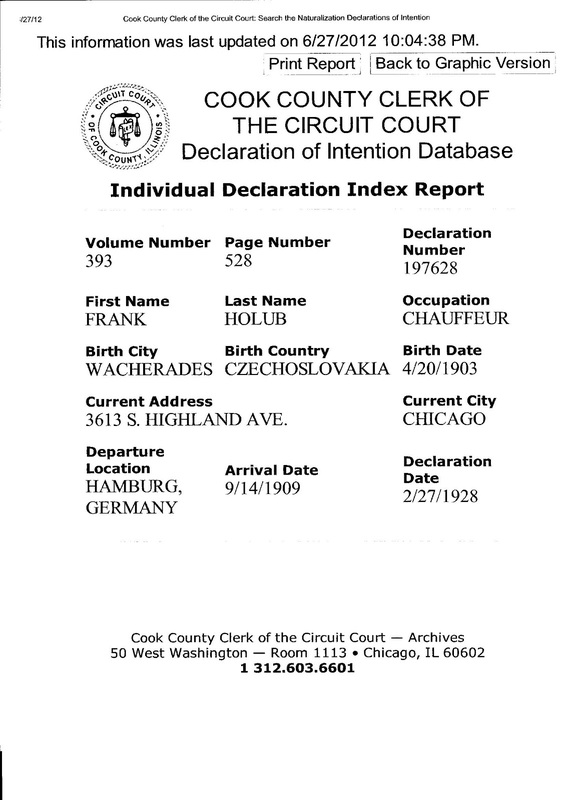 My next step was to go to the Circuit Court of Cook County in person in September to see if there was any additional information for any of these people, such as naturalization petitions or certificates of arrival. But Jennifer Holik’s suggestion on the Chicago Facebook Group site saved me from this extra trip. So far we have seen how using social media in the form of blogs and Facebook groups can lead to valuable resources for planning a genealogy trip. If you have had success following this route, please share this with me and the followers of this blog by leaving a comment in the box below. Maybe you found a Facebook group or started your own group. Or you might have googled a city blog for your trip destination. Or you found a brand new way to use social media to further your research. Let us know.